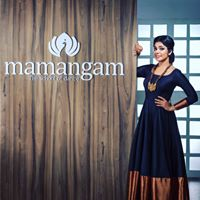 Mamangam is a dance school which strongly believes that to fly high one will have to take flight from strong roots.Under the strong rooted tutelage of renowned masters, handpicked from across the country, we aspire to provide each student an opportunity to explore, understand and cultivate his/her own style and character in dance. We at Mamangam are very serious about dancing and equally serious about having fun while we are at it. Mamangam aspires to be a platform where everyone who loves to dance can revel and celebrate sheer dancing. A space where we can look beyond dance competitions and reality shows.A ground for holistic training in various dance and martial art forms. A stage to live out your dance dreams . Mamangam is my effort at all this and much more!